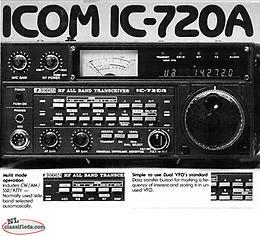 ICOM 720A All Mode General Coverage Transceiver with original Hand mic. 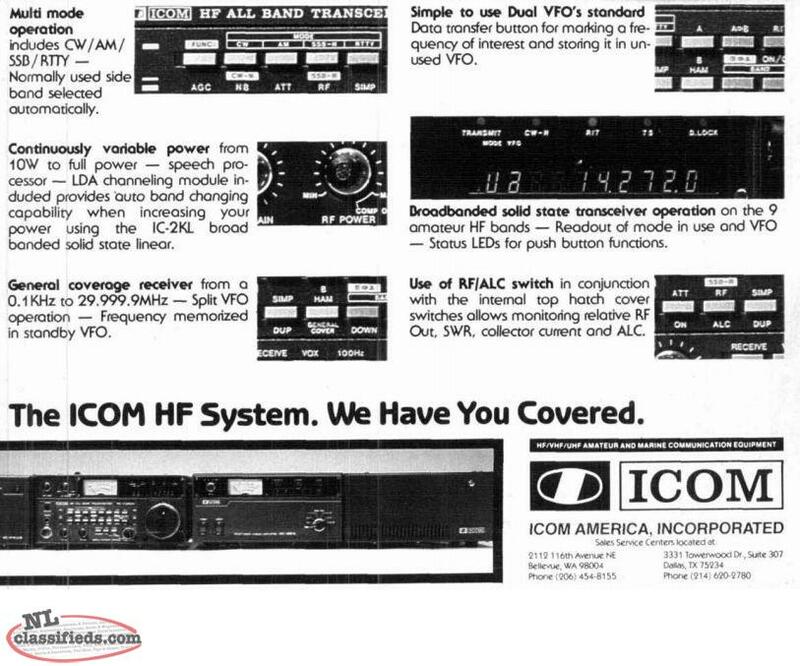 At one time, it was ICOM's top of the line transceiver. 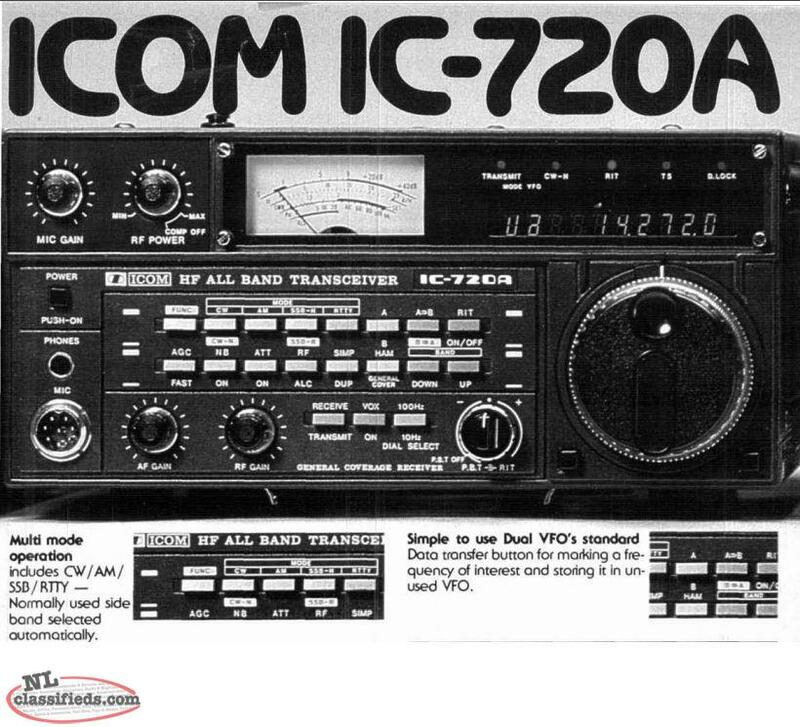 The Icom IC-720A is an all solid state transceiver covering nine amateur HF bands. It features two digitally synthesized 10 Hz VFOs. 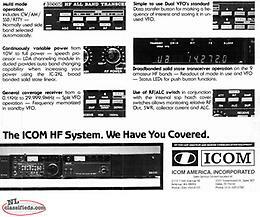 Enhancements include RF speech processor, RIT, CW semi break-in, noise blanker and VOX. 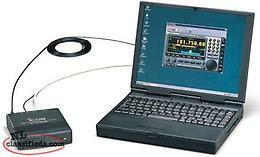 The IC-720A has has a quad-conversion, general coverage receiver that tunes 100 kHz to 30 MHz. Power output is: SSB 10~100W, AM 10~40W, CW/RTTY 10~100W. 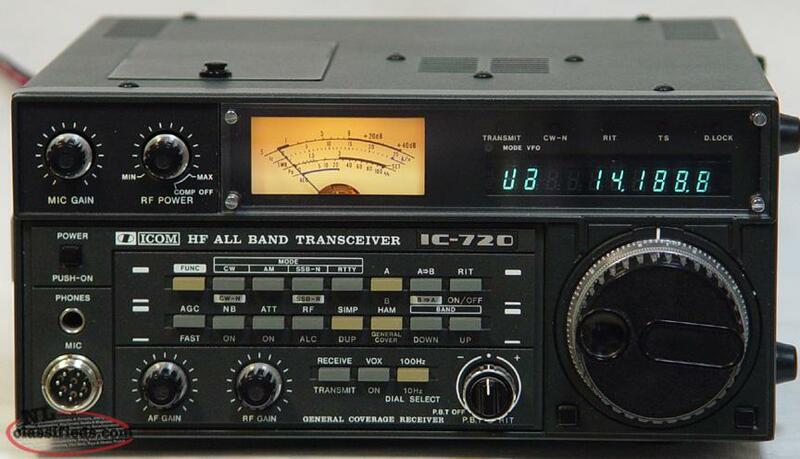 I actually bought this because I wanted the top rated ICOM R71A general coverage communications receiver that tunes 100 kHz to 30 MHz but couldn't find one at the time and was told this transceiver has almost the same general coverage receiver as the R71A. This radio requires a 12 VDC at 20 Amps Power supply not included. 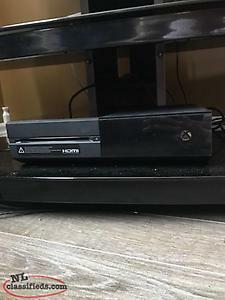 Original xbox one 500gb barely used with kinect, two contollers and a couple games. 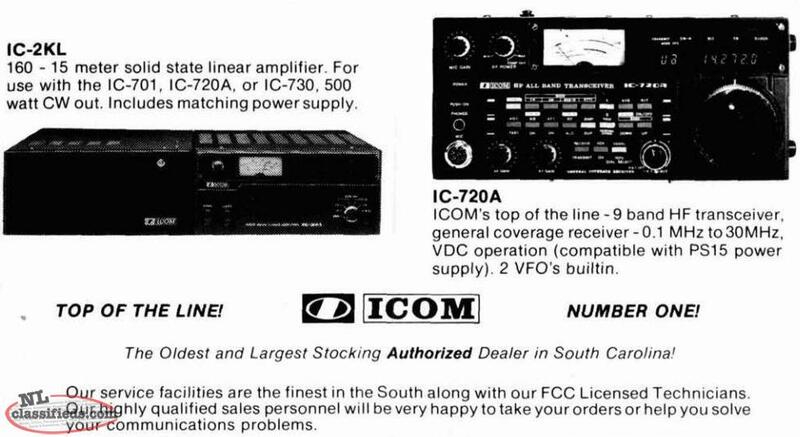 Hi, I'm interested in the 'ICOM 720A Multi-Mode General Coverage Transceiver with original Hand mic' posted on NL Classifieds! Please contact me if still available.